His Royal Highness The Prince of Wales recently visited Pool House Equine Clinic to mark the opening of a new, purpose-built facility in Fradley, near Lichfield. 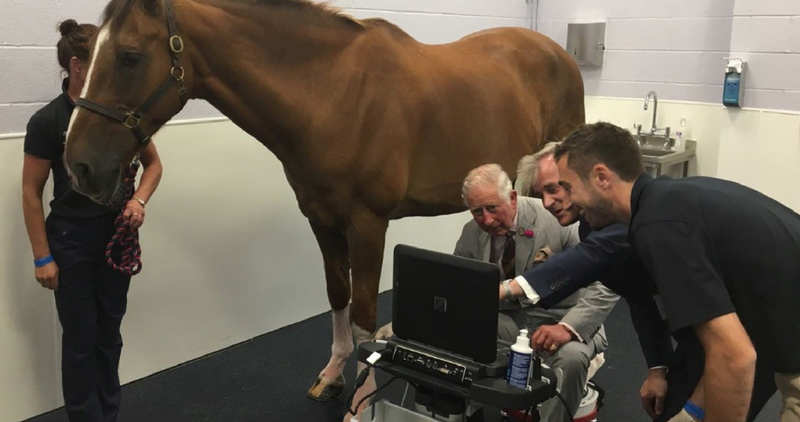 This multimillion pound centre will support the provision of advanced equine veterinary services in the Midlands, and the practice has chosen a FUJIFILM SonoSite Edge II portable ultrasound system to meet the needs of its growing business. An equine veterinarian’s day can be unpredictable and so can their patients. SonoSite's Edge II takes the guesswork out of imaging with a great diagnostic image that is easy to obtain. With fast boot up to scan, SonoSite's Edge II enables the practioner to focus on the patient instead of adjusting or optimizing the ultrasound machine.